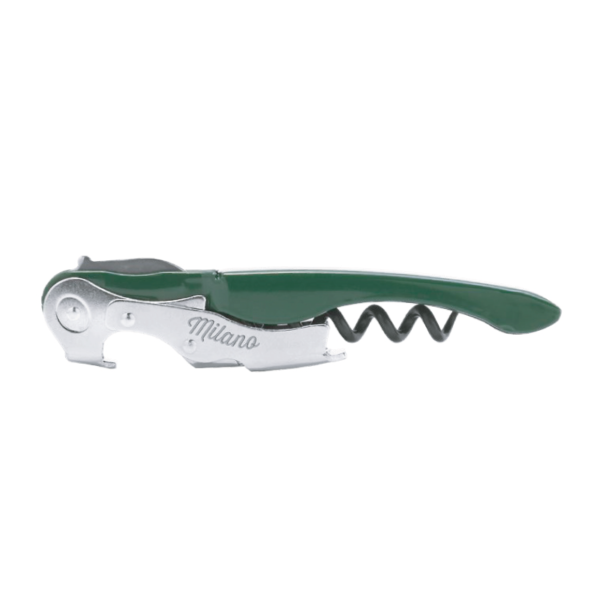 Designed for comfort in use, the underside of the Milano’s handle features our exclusive soft touch rubberised grip; while the toughened carbon steel worm with its low friction coating promises years of trouble free service. 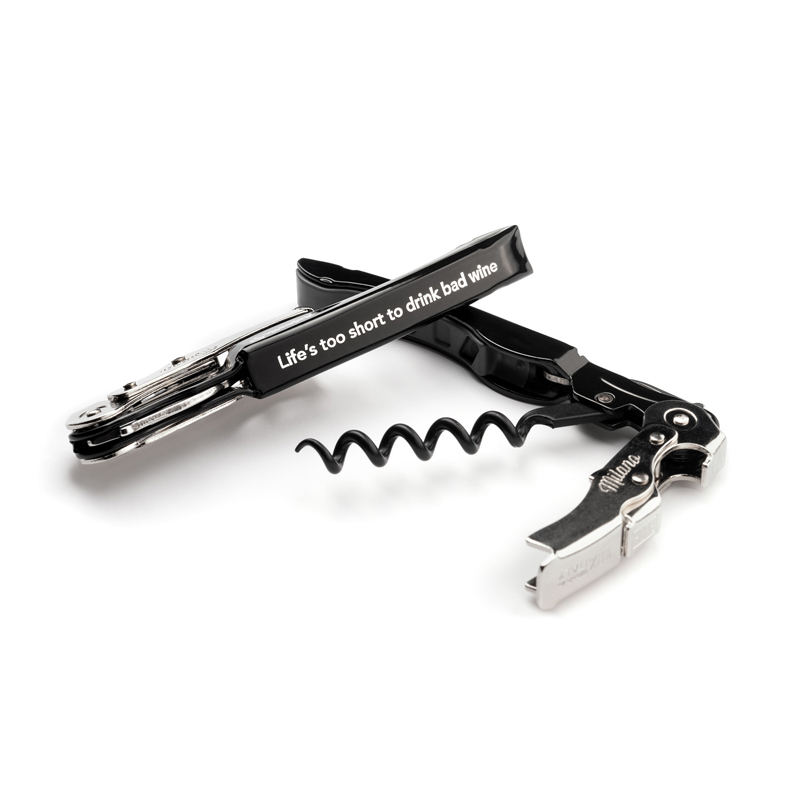 Featuring a patented automatic sliding action on the double lever which correctly positions the second lever for lifting, whatever the width of the bottle rim. It will also lift longer corks up to 50 mm. For logo branding, the Milano now offers three print areas on the top and each side of the contoured steel handle, allowing a variety of advertising messages to be deployed. All printing is done in–house. We use the latest computer-controlled printing machinery to ensure the best possible sharpness, definition and colour match for the reproduction of your logo. Minimum print order 240 pcs. 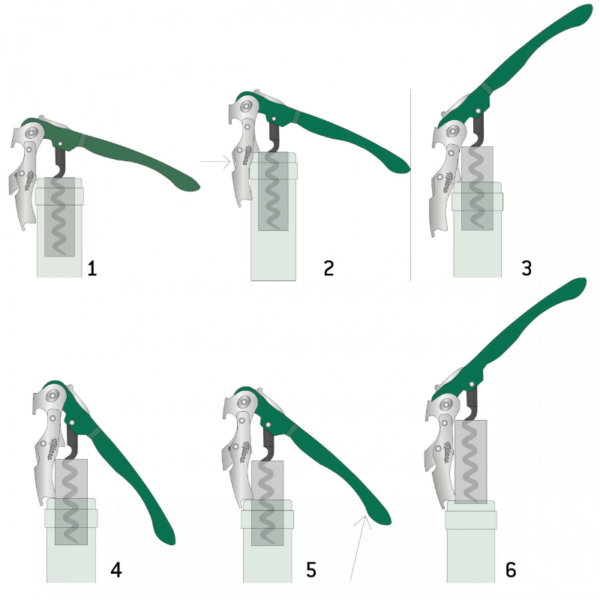 Left-handers too will welcome the additional option of a straight knife blade as an alternative to the standard stainless-steel serrated cutting edge. Straight blades are also more effective in cutting through thicker capsule foils. 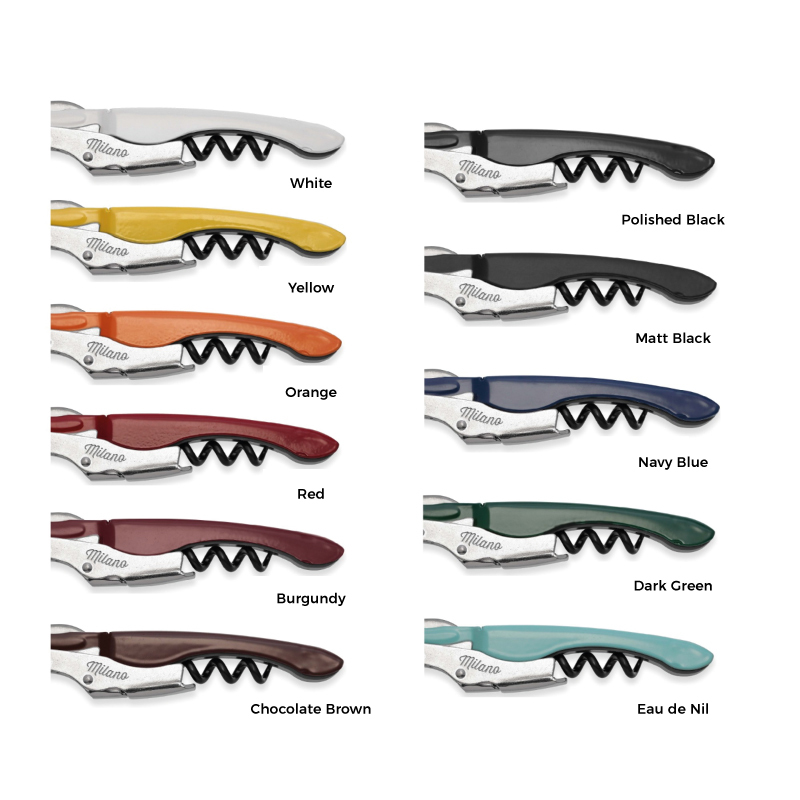 The Milano is offered in a range of handle colours and is packed in inners of 12 pieces and an outer case of 180. If you’d like individual customised gift boxes, please talk to a member of our sales team. The Milano from Waiter’s Friend. 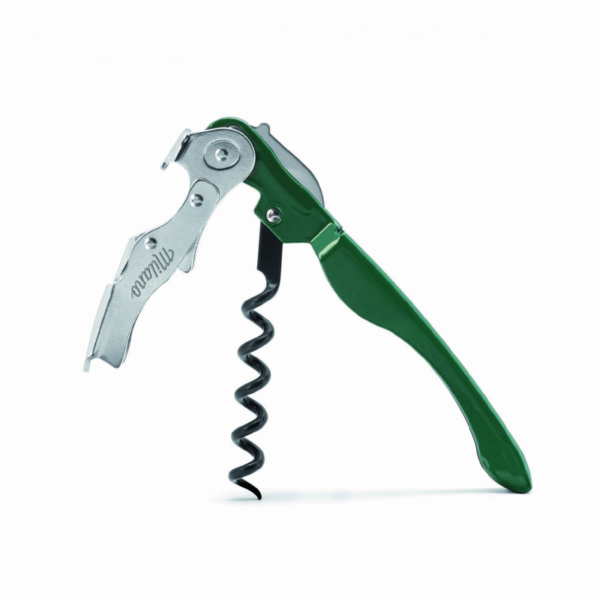 Leading the field in professional cork lifting performance. Continuous feedback from Sommeliers and Brand Owners drives both our own R & D programme, and that of our partner factory. 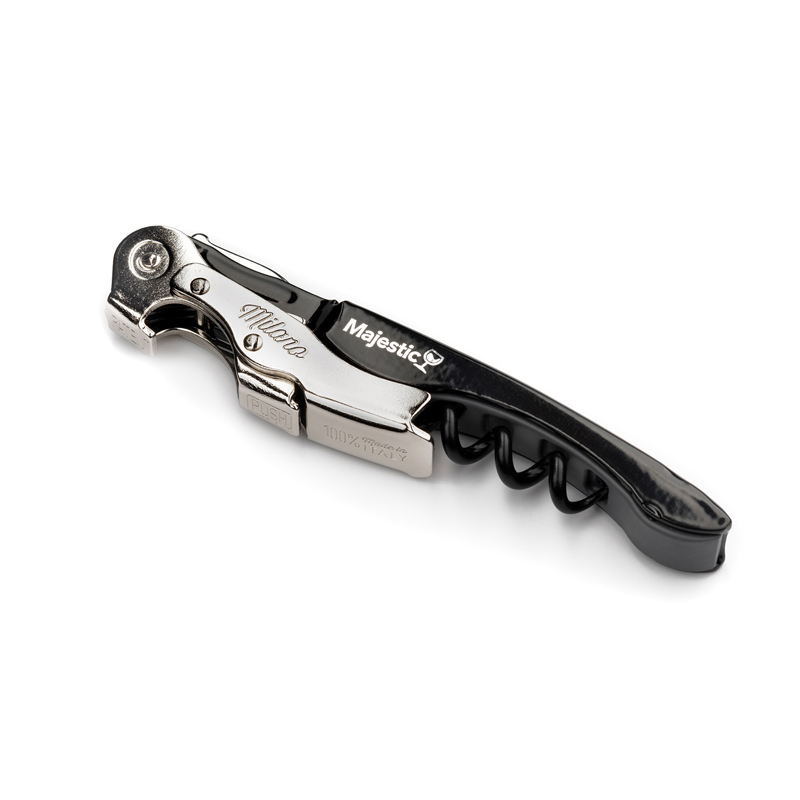 So, we are able to lead the way in delivering the very state-of-the-art refinements in both corkscrew technology and performance.